With the latest VideoWhisper rtmp applications versions, webmasters can enable external player support (both for FMIS and Red5). This can be enabled from RTMP Application Settings. You need to have allowPlayers=true for FMIS or acceptPlayers=true for Red5 . These settings are turned on by default. This will allow playing a stream published by a VideoWhisper flash application like Live Streaming with an external player like JW Player. Publish a stream from Live Streaming Demo (i.e. Studio1) and then view it on JW Player. Update channel name in link if you’re using a different one. 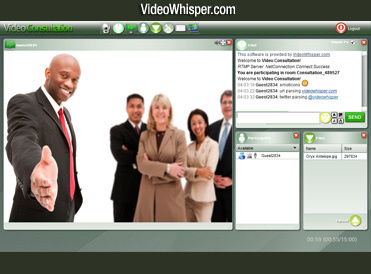 VideoWhisper solutions publish regular rtmp streams that can be played with JW Player as per their docs. 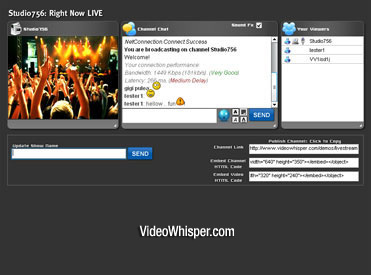 Just make sure you fill the videowhisper rtmp address as streamer and user name / channel name + “.flv” as file. Important: As latest VideoWhisper solutions also support P2P streaming, these need to be configured with alwaysRTMP=1 parameter in their _login.php or equivalent script so streams are always published to RTMP. Because of this, demo above is disabled (to prevent heavy rtmp usage on public install), but you can use sample code in your own installs. Also this code could be used for playing a Studio1 stream broadcaster with VideoWhisper Live Streaming. Make sure you have swobject.js and player-viral.swf in that folder.